1961: Those scientific efforts led to the establishment of the Antarctic Treaty, which has been signed by 44 countries. This treaty, passed into law in 1961, calls for Antarctica to be used for peaceful purposes only. 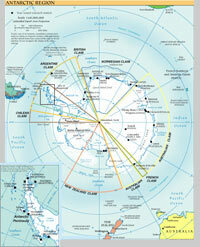 It also promotes international scientific cooperation in Antarctica.